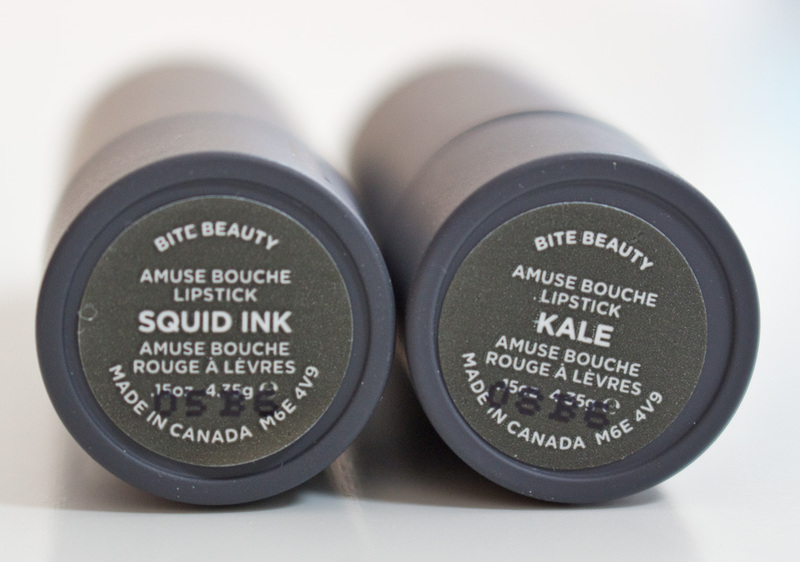 Bite Beauty Amuse Bouche Lipstick in Squid Ink & Kale. 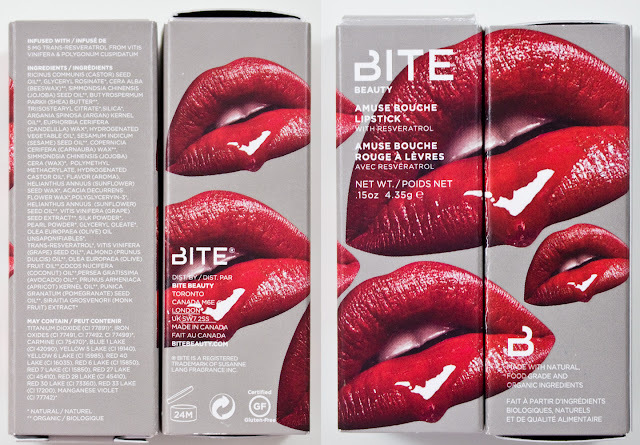 Bite Beauty Amuse Bouche Lipstick box art. 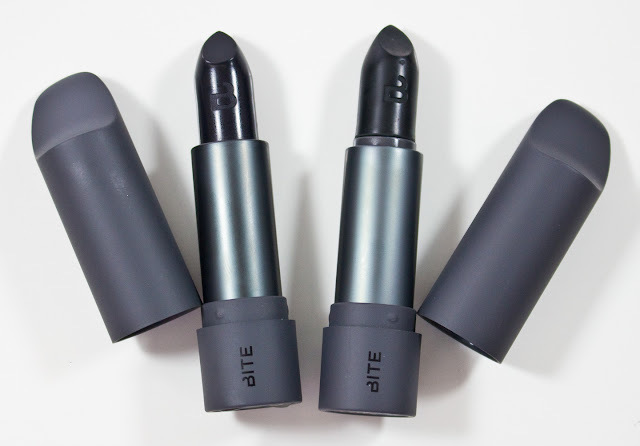 Bite Beauty Amuse Bouche Lipstick full-size original and Limited edition tubes. 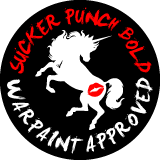 These still have a lemon-lime punch scent with a slightly sweet taste if you do lick your lips. 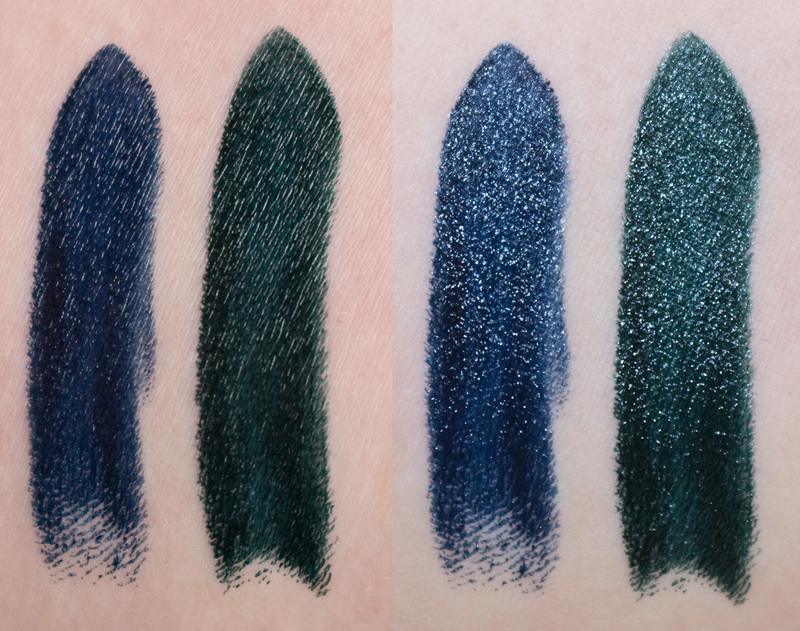 Squid Ink is a deep midnight blue with a cream matte finish. 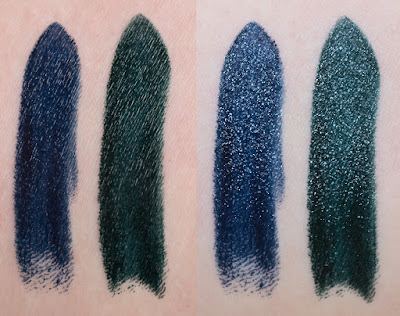 This shade reminded me of the Melt Cosmetics DGAF I was never able to get ahold of but this one is deeper blue. 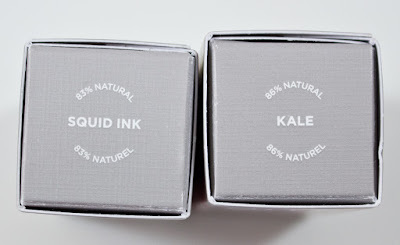 Kale is a deep forest green with a cream matte finish. 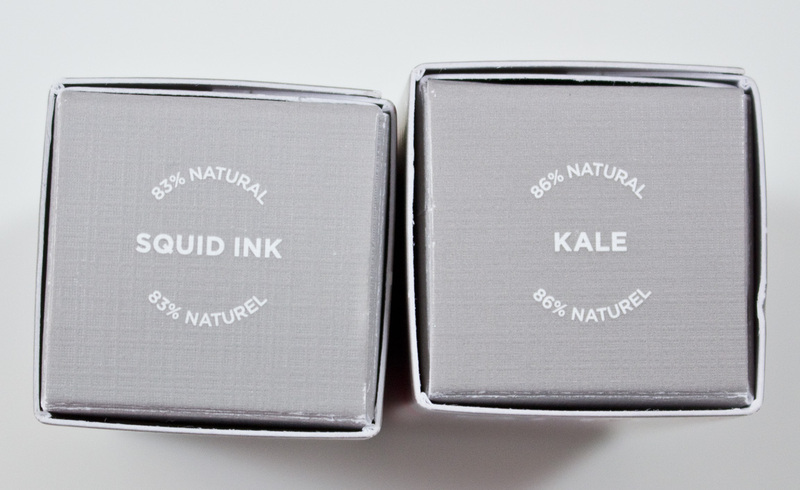 Packaging: Simple bullet packing with a rubberized grey body. 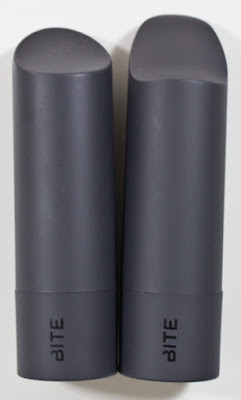 The tube is super lightweight like there original lipstick packaging but they were able to also cut down the weight of the roll-up mechanism as well. The tip of the cap for these limited edition shades are elongated compared to the original.